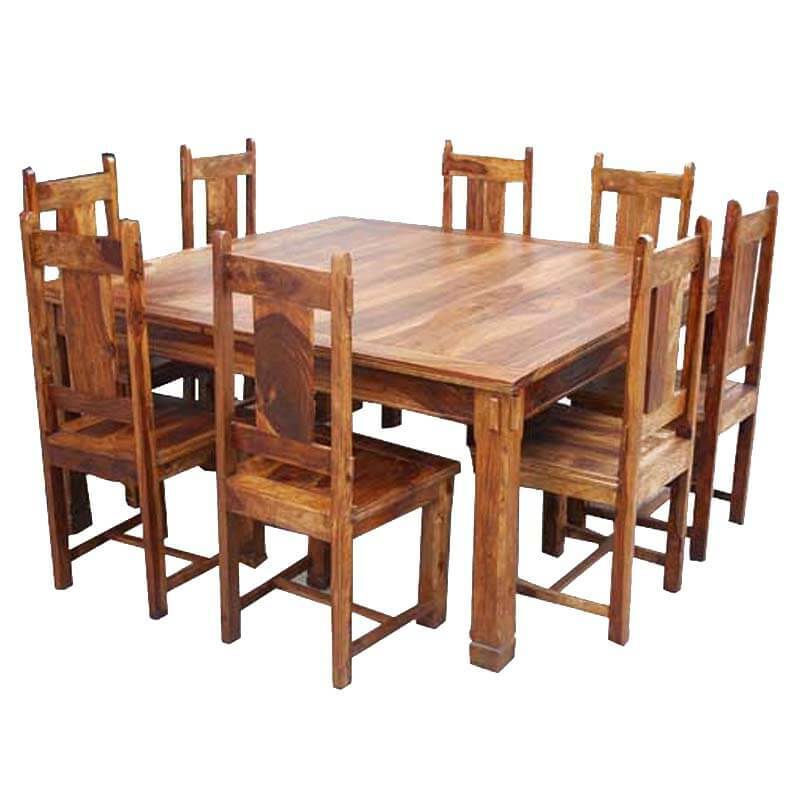 Complete your dining room with this exquisitely hand crafted Transitional Style Solid Wood Rustic Square Dining Table Chairs Set. 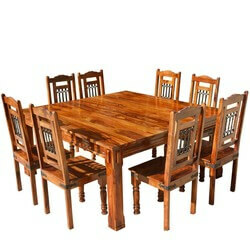 Excellence of handmade craftsmanship and exquisite design added together to create a magical dining space. 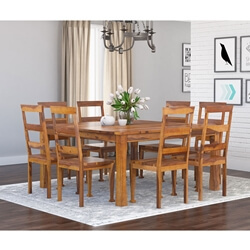 This rustic square dining table adds rustic beauty as well as a class apart flair to your dining room. 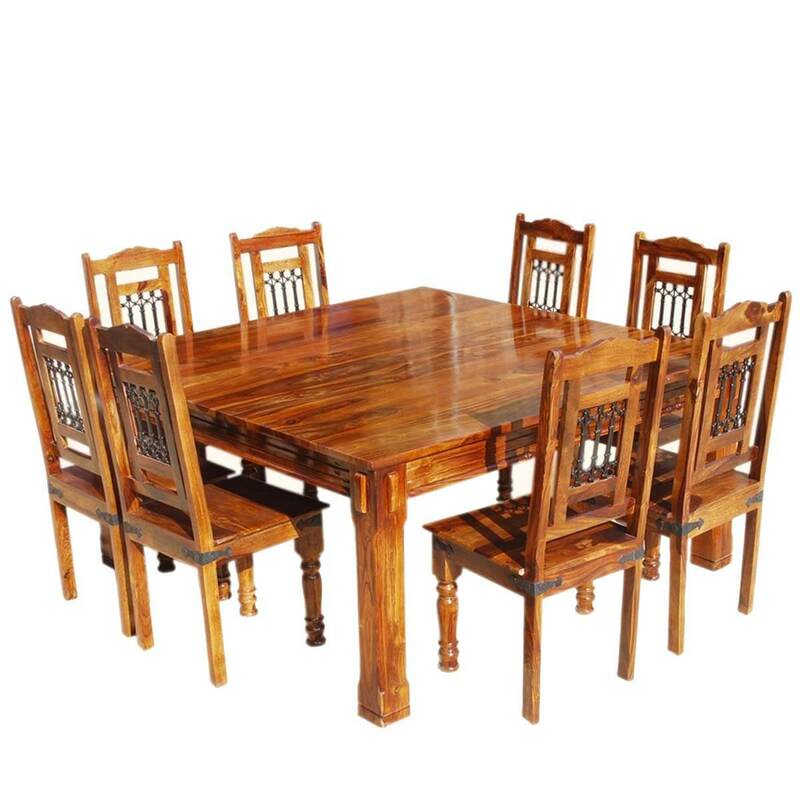 The large rustic dining table is crafted using exotic, durable Solid Wood. 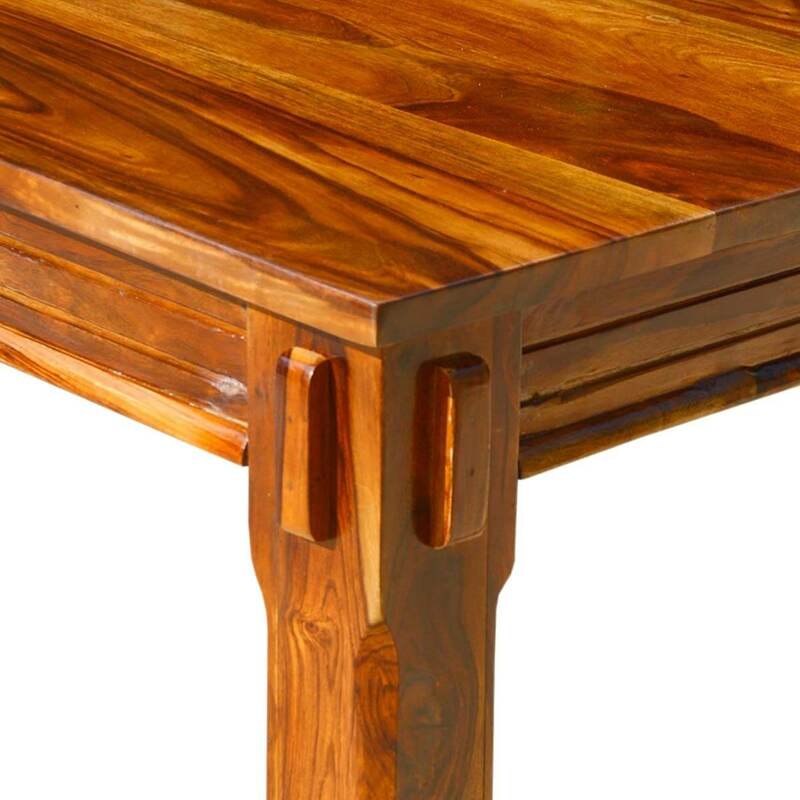 Table apron features groves to add beauty to this piece of furniture. 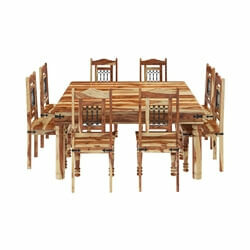 exclusively designed chairs complete this beautiful dining set. 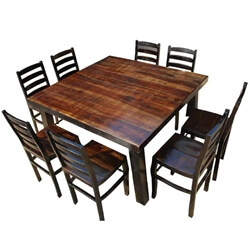 The chairs feature a very unique wrought iron frame at back. 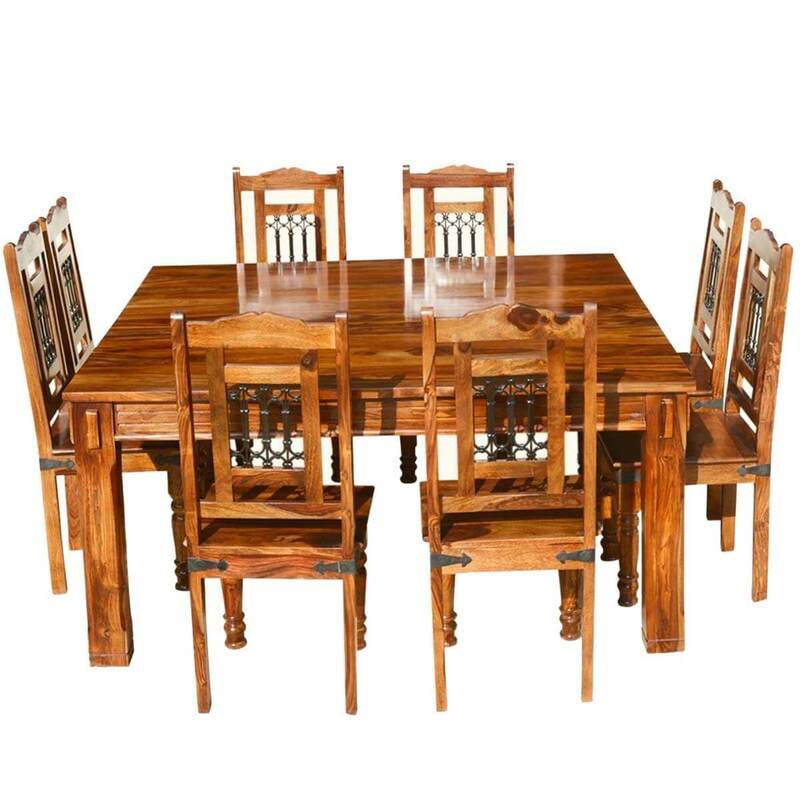 These chairs will give you a very comfortable seating experience. 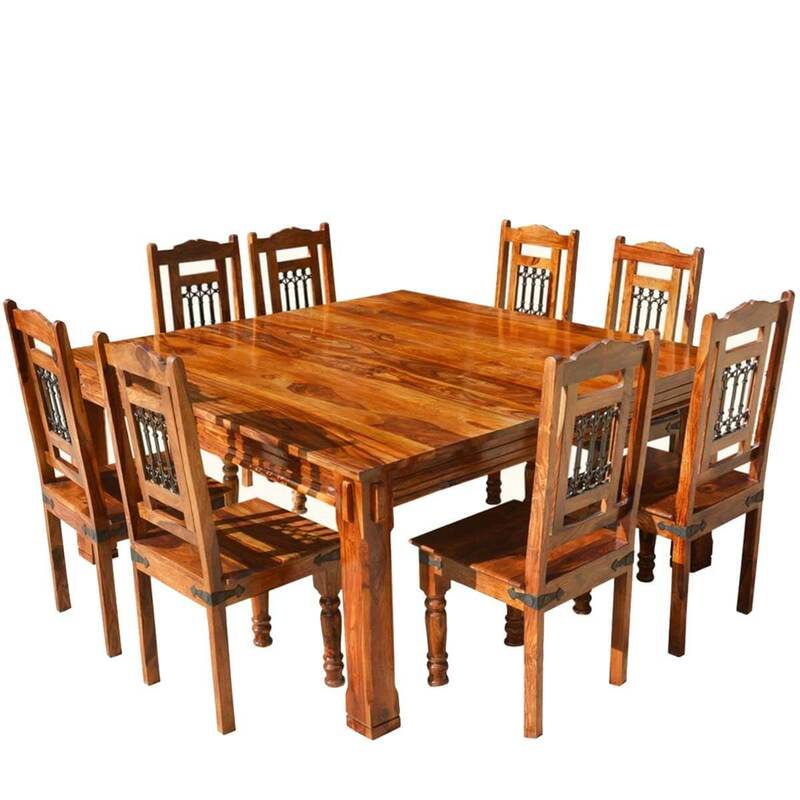 Gather your family and friends around this generously sized dining table. 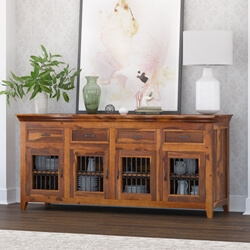 • Handcrafted using very durable solid Indian rosewood. 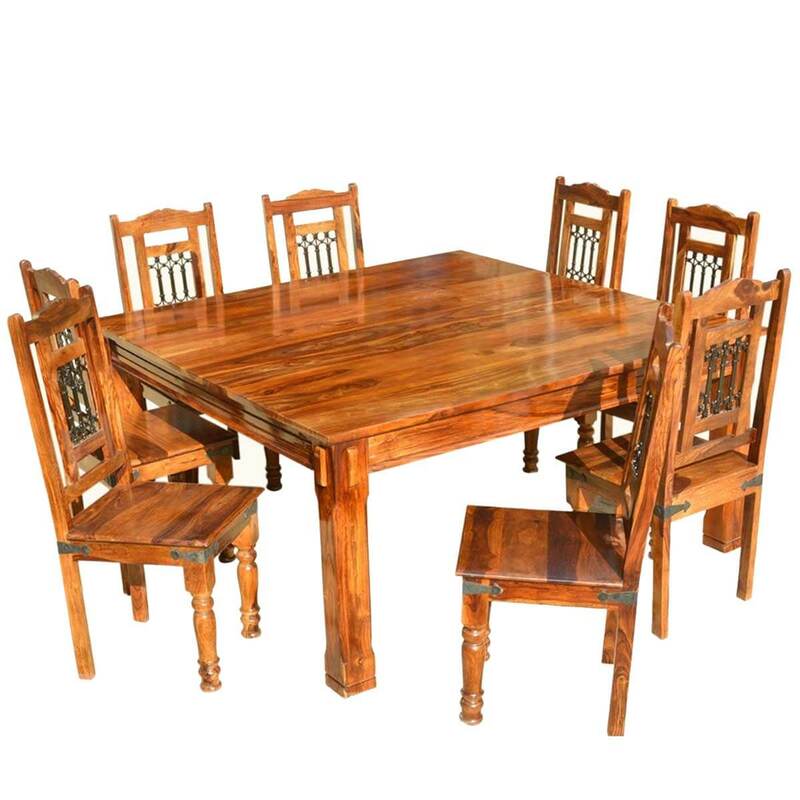 • Table top designed with Apron and overhang method. • Beautiful chairs with excellent design. • Comfortable seating experience guaranteed.